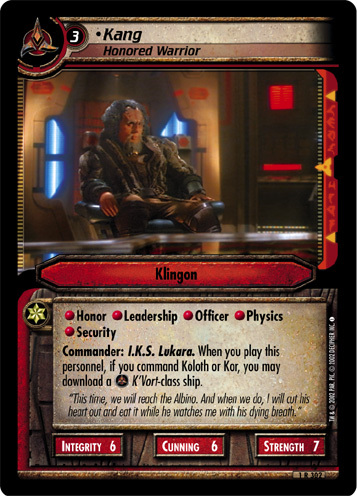 2 •Kitrik, "The Tyrant Molor"
When you play this personnel, if you command a mission requiring Science, you may draw a card. 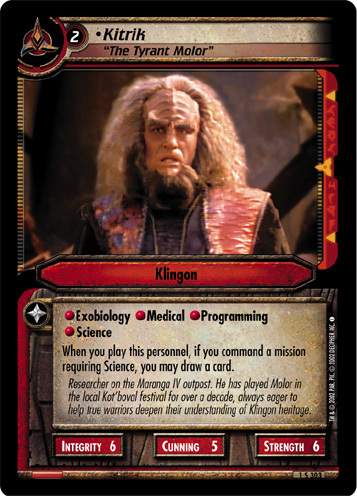 Researcher on the Maranga IV outpost. 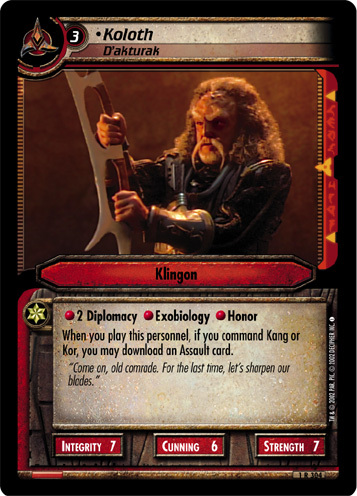 He has played Molor in the local Kot'boval festival for over a decade, always eager to help true warriors deepen their understanding of Klingon heritage.